Croatia will for the first time present its Voluntary National Review (VNR) at the 2019 meeting of the High-level Political Forum on Sustainable Development on implementation of 17 SDGs. It was the reason for organizing the conference and gathering about 150 sustainable development stakeholders. 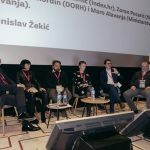 They were acquainted with Sweden’s approach to SDGs implementation, and in which areas Sweden still need to make a progress, although being the top implementer, why at the centre of SDGs implementation need to be people and not economy, which steps Croatia needs to undertake in the preparation of the VNR, and what is the role of digital revolution in the SDGs implementation. Participants identified the most important SDGs for Croatia and through facilitated discussion formulated basis for creation of national recommendations for further implementation of SDGs in Croatia. The conference organizer was Croatian Chamber of Economy, with ICC Croatia as co-organizer. 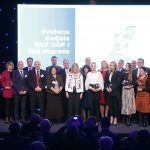 The three key ministries for the implementation of SDGs in Croatia were patrons: the Ministry of Regional Development and EU Funds, the Ministry of Foreign and European Affairs and the Ministry of Environmental Protection and Energy. Conference program partners were also the Embassy of Sweden, Ericsson Nikola Tesla and the Austrian Embassy – Advantage Austria. The conference was the first in the series of activities under the new platform called HGK_COR AKCELERATOR. The platform aims at strengthening public awareness and dialogue on the importance of SDGs implementation for better Croatia. The platform was launched by the Croatian Chamber of Economy CSR Association, which gathers some of the leading Croatian companies in the area of CSR and sustainability, with a goal of initiating series of activities to mobilize accelerated action for sustainable development.